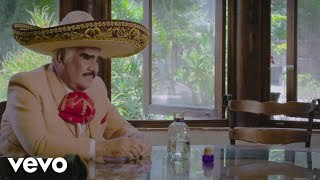 Don Vicente Fernández is more current than ever. Solid as an oak and as wise as a man who’s lived life to the fullest, he’s learned to overcome every obstacle and emerge even stronger. 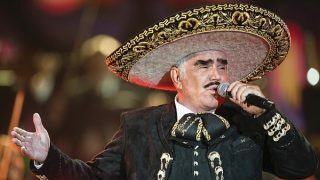 Vicente Fernández, 73, is renowned as an icon and the King of Mexican Music. And he keeps on surprising us. While Don Vicente announced his retirement from touring over a year ago, he emphasized that his recording career continues. He has many projects up his sleeve and his voice is stronger than ever. 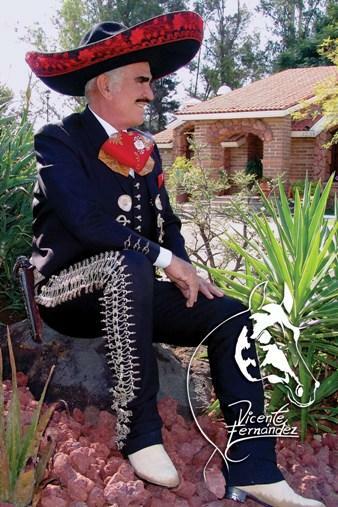 The proof is in his new album Vicente Fernández Hoy (Vicente Fernández Today), recorded in his Rancho Viejo Studios, in Guadalajara, Jalisco. He continues his latter-day renaissance as a studio wizard, serving as the album’s producer. The CD release Vicente Fernández Hoy contains 13 songs, 12 of them written by Martín Urieta, who’s written some of Vicente Fernández’s greatest hits, such as “Mujeres Divinas,” “Qué de Raro Tiene,” “Bohemio de Afición,” “Aca Entre Nos” and “Urge.” Hoy also features the bonus track “Un Hombre con Suerte” (A Lucky Man), written by the up-and-coming songwriter José Eduardo Piña. He was inspired by the thoughts, convictions and experiences of Vicente Fernández. This is a song that rewards repeated listening, as it’s obvious that the lyrics mean a great deal to him…they describe his life. 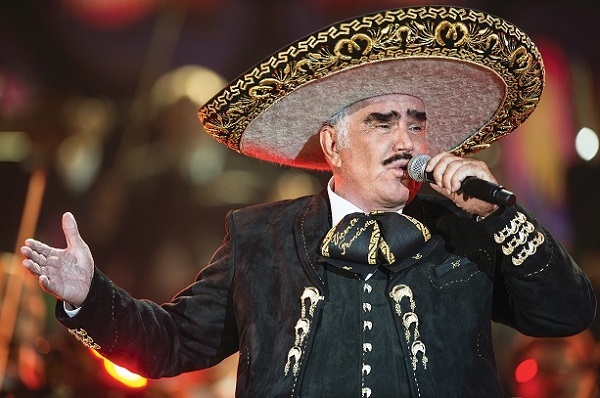 On Vicente Fernández’s new album, we can appreciate his extraordinary voice and his riveting interpretive power. The songs showcase an eclectic panoply of styles, including waltzes, rancheras, boleros and two corridos. With Vicente Fernández Hoy, Vicente Fernández affirms that he truly is a lucky man, who is blessed with a loving family and fans, along with faith and courage. He feels fortunate to put his heart into what he loves. This describes Vicente Fernánadez today – a lucky man! This keepsake album is to be released May 7, 2013.